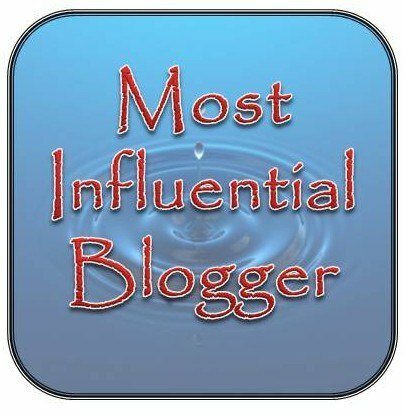 Today I am sorting out awards people have gifted me , so I’d like to thank Don Charisma for granting me Most Influential Blogger Award. I love these awards as I think, as I’ve said before, they show the great camaraderie which exists in the blogging community. So thanks, Don, you’re a great blogger, a generous man, and someone who’s always ready to offer a helping hand to anyone who needs support in any way. I am supposed to offer a connection to my favourite music and so here’s a link to “At the River” by Groove Armada. It’s lovely, laid-back, dreamy summer music with the refrain throughout: “If you’re fond of sand dunes and salty air/Quaint little villages here and there”, words taken from Patti Page’s original recording of “Old Cape Cod”. If any of those nominated don’t accept awards, that’s fine, it’s up to each individual and what you feel comfortable with. I personally can’t handle all the rigmarole or controls that come with some awards so I amend my response to what I can handle within my abilities. Have a great day, everyone, hopefully not as windy as here in North Cyprus, where we have sunny skies, bright sunshine and a really strong wind which at least keeps the temperatures down!